The Christmas one can be used for boys or girls and it is a fun way to 'wrap' a gift. 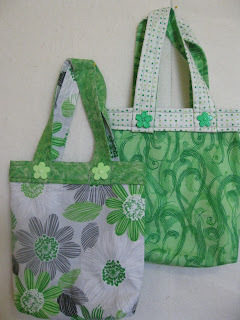 I think they are a better choice than traditional gift bags, which usually are thrown away. The interface to which the fabrics are ironed add body to the bag. Children might enjoy them even more, as they can carry their precious things in them wherever they go. They make perfect bags for little ones to tote their quiet books to church. 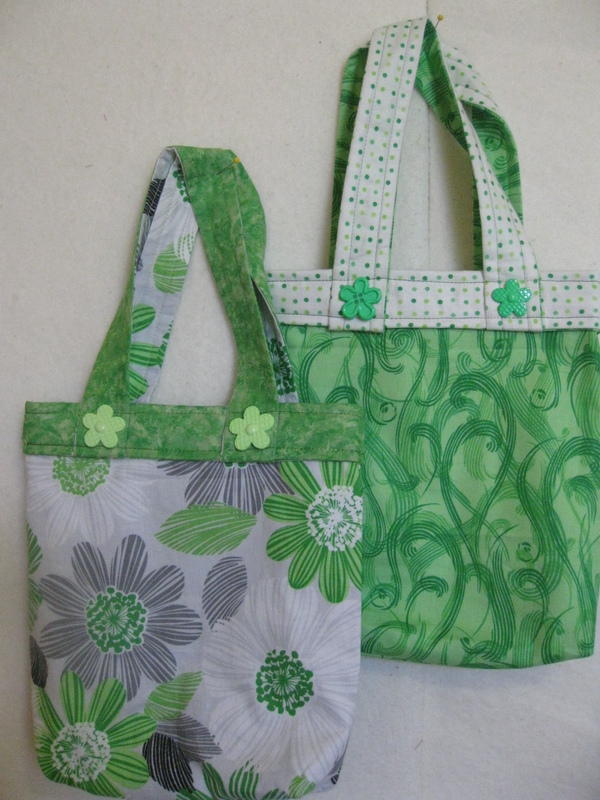 Each bag measures approximately 9" x 10", plus the handles. How about this one at left? 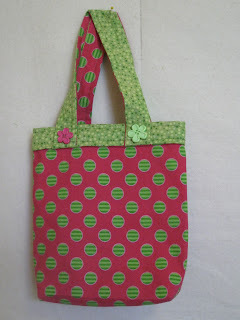 I used some old Lakehouse fabrics I had, adding pink and light green buttons. Notice how the contrasting fabrics work so well together... Huhmmm... I think I will make a few more! How about you? 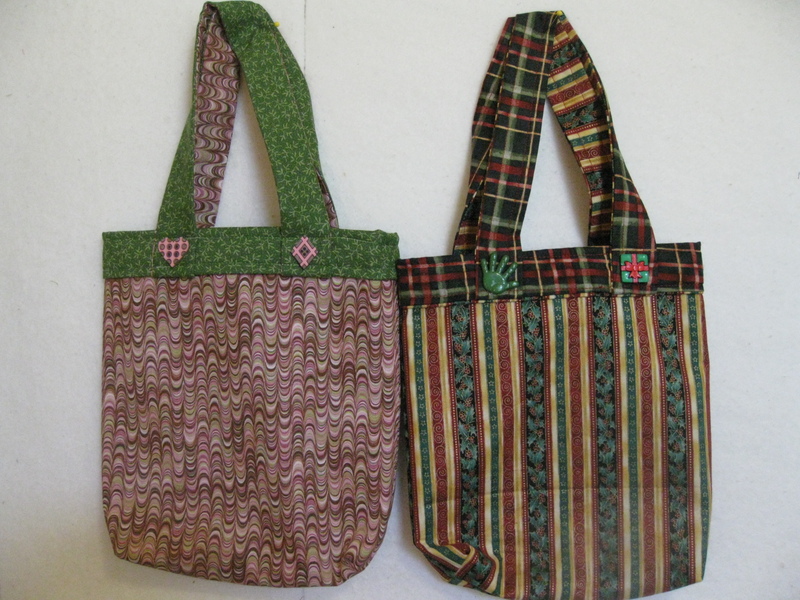 Have you started making Christmas gifts yet? Do you choose a project each year and make it for everybody, or do you make a different project for each person? 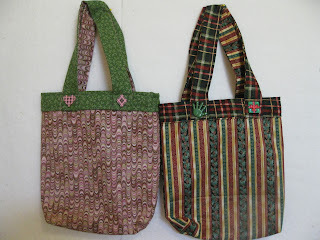 This are such cute bags...! !